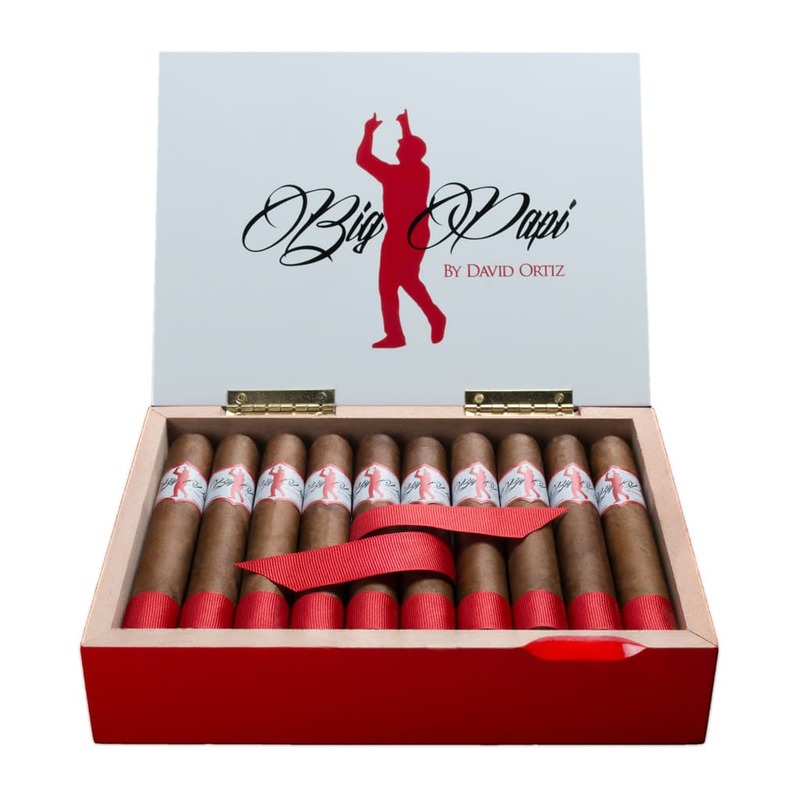 Big Papi by David Ortiz Cigars - Buy Premium Cigars Online From 2 Guys Cigars . For the last 20 years, Baseball Legend David Ortiz has had the type of career that should warrant a first ballot hall of fame selection. Originally from the Dominican Republic, Big Papi has teamed up with Tabacalera El Artista for the creation of a cigar bearing his nickname and a silhouette of Ortiz pointing to the sky in his trademark tribute to his mother. The blend consists of Dominican and Nicaraguan fillers with a Criollo 98 binder and is surrounded by an Ecuadorian Habano wrapper. The cigar is medium bodied and creamy with hints of pepper and a subtle nuttiness. Even in retirement, Big Papi continues to hit it out of the park. On Friday, March 3rd, 2017 legendary baseball player and future Hall of Fame member David Ortiz visited Two Guys Smoke Shop in Salem, New Hampshire. During the course of the evening #34 took the time to meet and greet fans.